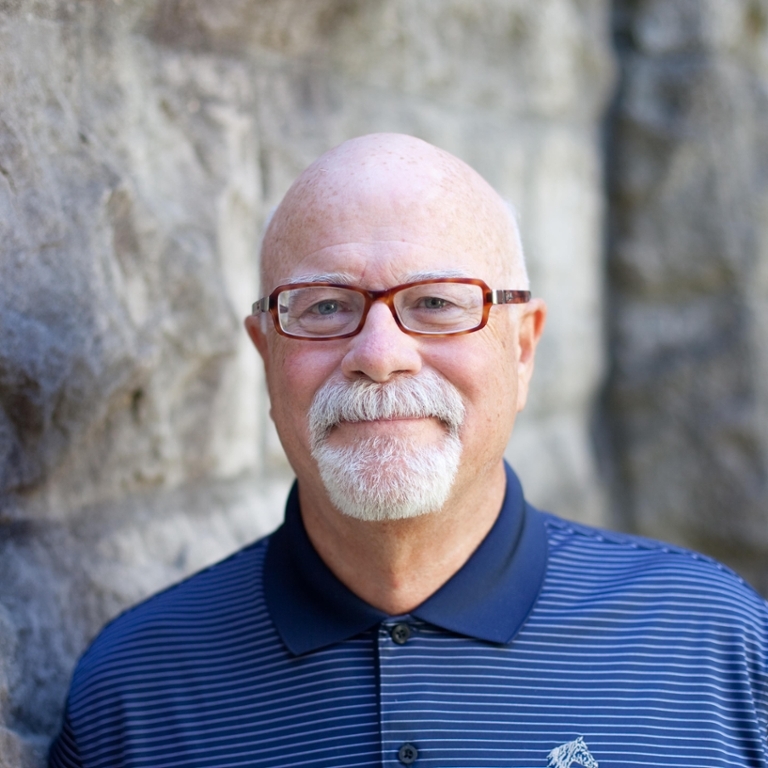 I am a Professor of English—and of Theatre and Drama—and have taught at Indiana since 1985. My major research interests include drama and theatre of the 19th and 20th centuries, Irish Studies, and the contemporary university. 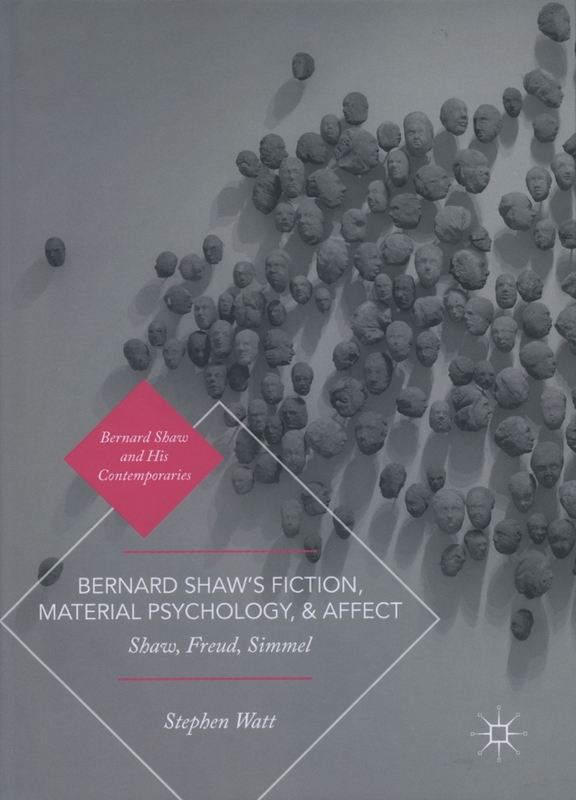 I’ve recently finished three books: Bernard Shaw’s Fiction, Material Psychology, and Affect: Shaw, Freud, Simmel (2018), which reads Shaw’s writing, particularly his early novels, in the context of an emergent psychoanalysis at the fin de siècle of the nineteenth century, so-called “marginal” economics, and contemporary affect theory; “Something Dreadful and Grand”: American Literature and the Irish-Jewish Unconscious (2015), which examines the often uncanny cultural interactions between Irish-American and Jewish-American immigrants from around 1850-1950 and the notions of performance, multi—directional memory, and an Irish-Jewish modern literature; and Beckett and Contemporary Irish Writing (2009), which discusses such writers as Samuel Beckett, Brian Friel, Marina Carr, John Banville, Paul Muldoon, and Derek Mahon. 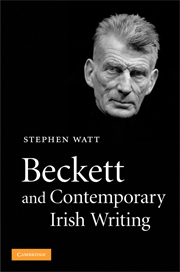 My next book project concerns constructions of audience in contemporary Irish, British, and American playwriting. “Irish Blockbusters and Literary Stars,” Irish Literature in Transition, Volume 6, eds. Paige Reynolds and Eric Falci. Cambridge: Cambridge University Press, 2019. 20 MS pp. (forthcoming). “The Irish Car Bomb (and One Other Disreputable Cocktail),” in The Shaken and the Stirred: The Year’s Work in Cocktail Culture, eds. Craig Owens and Stephen Schneider. Bloomington: Indiana University Press, 2019. 22 MS pp. (forthcoming). “The Discourses of Irish-Jewish Studies: Bernard Shaw, Max Nordau, and the Cosmopolitan,” in Irish Questions and Jewish Questions, eds. Aidan Beatty and Dan O’Brien. Syracuse: Syracuse University Press, 2018, pp. 161-175. Kevin J.H. 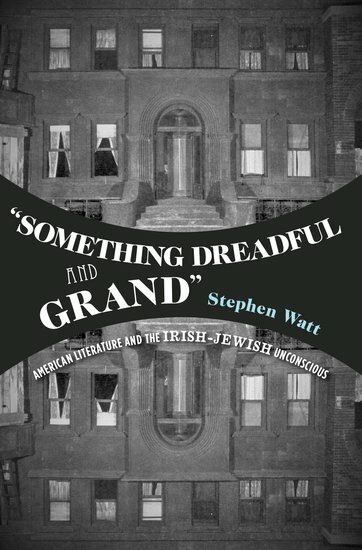 Dettmar and Stephen Watt, eds. Marketing Modernisms (University of Michigan Press, 1995). Judith H. Fisher and Stephen Watt, eds. When They Weren’t Doing Shakespeare: Essays on Nineteenth-Century British and American Theatre (University of Georgia Press, 1989). “Pinter, Time, and Total War,” The Harold Pinter Review 1 (2017): 1-12. “Of Migrants and Men: Networks and Nations in the Millennial Bond Text,” The International Journal of James Bond Studies 1.1 (2017). www.jamesbondstudies.roehampton.ac.uk. (with Ed Comentale). “Outside Mullingar, A Moon for the Misbegotten, and The Night Alive: The Irish Play on the New York Stage,” Hungarian Journal of English and American Studies 22.2 (2016): 269-88. "Unashamed: Value, Affect, and Shaw’s Psychology of Money," SHAW: The Review of Shaw Studies 36.1 (2016): 53-72. 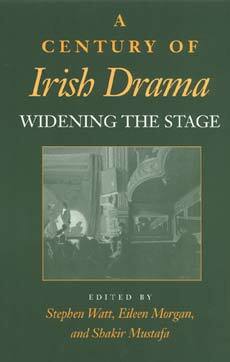 "The Inheritance of Melodrama," in The Oxford Handbook of Modern Irish Drama, eds. Nicholas Grene and Christopher Morash. Oxford: Oxford University Press, 2016, pp. 9-23. "Sam Shepard, Irish Playwright," in The Irish Theatre in Transition: From the Late Nineteenth century to the Early Twenty-First Century, ed. Donald E. Morse. 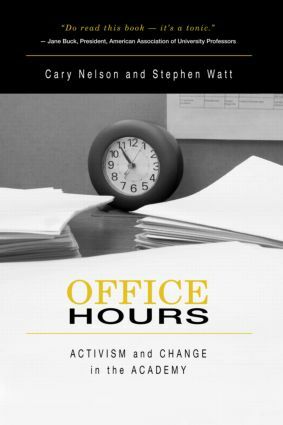 London: Palgrave Macmillan, 2015, pp. 241-56. "Zombieland and Zombie Psychology: Drive, Desire, Disgust," in The Year's Work at the Zombie Research Center, eds. Edward P. Comentale and Aaron Jaffe (Bloomington: Indiana University Press, 2014): 59-88. "Brendan Behan, Borscht Belt Comedian," Irish University Review 44 (Summer 2014): 149-64. "MacLaverty's Holocaust: Trauma, Affect, Memory," in Bernard MacLaverty: New Critical Readings, ed. Richard Rankin Russell (London: Bloomsbury, 2014), pp. 89-100. "Political Drama," in The Oxford Handbook to American Drama, eds. Jeffery H. Richards and Heather S. Nathans (New York: Oxford University Press, 2013), pp. 47-84. "Irish Studies and the Corporate University." New Hibernia Review 16 (Fall 2012): 83-97. "'Oirish' Inventions: James Joyce, Samuel Beckett, Paul Muldoon, " in From Elvish to Klingon: Exploring Invented Languages, ed. Michael Adams (Oxford: Oxford University Press, 2011), pp. 161-83. "The Humanities, RCM, and Bull___, " Western Humanities Review 31 (Fall 2011): 38-58. "On Retrofitting: Samuel Beckett, Tourist Attraction, " in Modernist Star Maps: Celebrity, Modernity, Culture, eds. Aaron Jaffe and Jonathan Goldman (London: Ashgate, 2010), pp. 207-21. 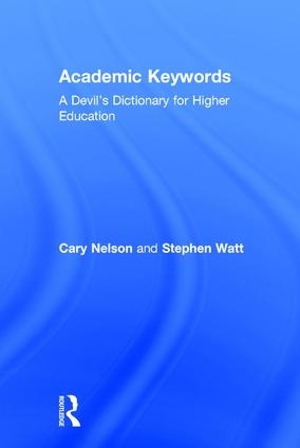 “The Humanities, The University, and the Enemy Within,” in Cary Nelson and the Struggle for the University, ed. Michael Rothberg (Albany: SUNY Press, 2009): 123-140. “Voices, Things, Events: Harold Pinter’s Mountain Language as Testamental Text,” Modern Drama 52 (Spring 2009): 38-56. “Friel and the Northern Ireland ‘Troubles’ Play,” in The Cambridge Companion to Brian Friel, ed. Anthony Roche (Cambridge: Cambridge University Press, 2006), pp. 30-40. 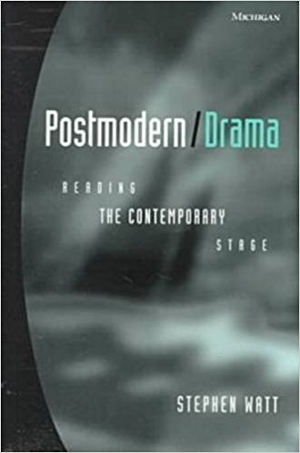 “Modern American Drama,” in The Cambridge Companion to American Modernism, ed. Walter Kalaidjian (Cambridge: Cambridge University Press, 2005), pp. 102-126. 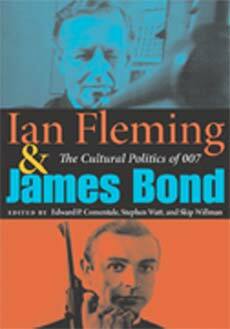 “007 and 9/11, Specters and Structures of Feeling,” in Ian Fleming and James Bond: The Cultural Politics of 007, eds. Comentale, Watt and Willman (Bloomington: Indiana University Press, 2005), pp. 238-259. “Collegial Propositions,” Symploke 13. 1-2 (2005): 18-29. “Before the Abbey—and Beyond,” in The Cambridge Companion to Twentieth-Century Irish Drama, ed. Shaun Richards (Cambridge: Cambridge University Press, 2004), pp. 18-32.